This is the order of battle for the First Battle of Ypres fought from 19 October to 22 November 1914 as one of the main engagements of the First World War. 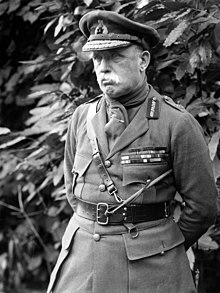 It was fought between mixed British Expeditionary Force, French eighth army and armies of the German Empire in northern France and Flanders. Bell, Ron (May–June 2005). "The Old Contemptibles". Strategy & Tactics. Albany, NY: Project Analysis Corp (228). ISSN 0049-2310. Lomas, David; Ed Dovey (1998). First Ypres 1914: the graveyard of the Old Contemptibles. Oxford: Osprey Publishing. pp. 14–21. ISBN 1-85532-573-X. This page was last edited on 15 May 2018, at 19:42 (UTC).